From a Home screen, navigate: Essentials > File Manager. 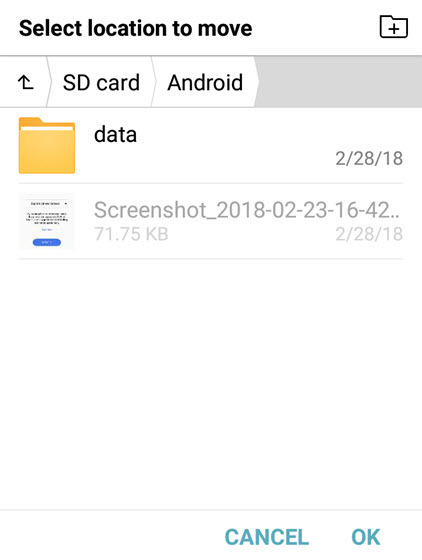 Navigate to the desired Internal storage folder (e.g., Screenshots, Download, etc.). Tap Select all (upper-left) or select individual files. 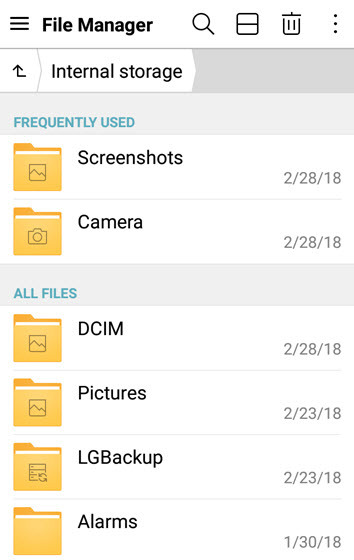 Navigate to the preferred SD / Memory Card folder then tap OK.
To create a new folder tap the Add folder icon (esquina superior derecha).